Maailmankaikkeus (universe, all that is part of the world in Finnish) is a new audiovisual performance by the media artists Antti Pussinen and Wolfgang Spahn. It is an artistic approach to the vastness, beauty and diversity of the universe. 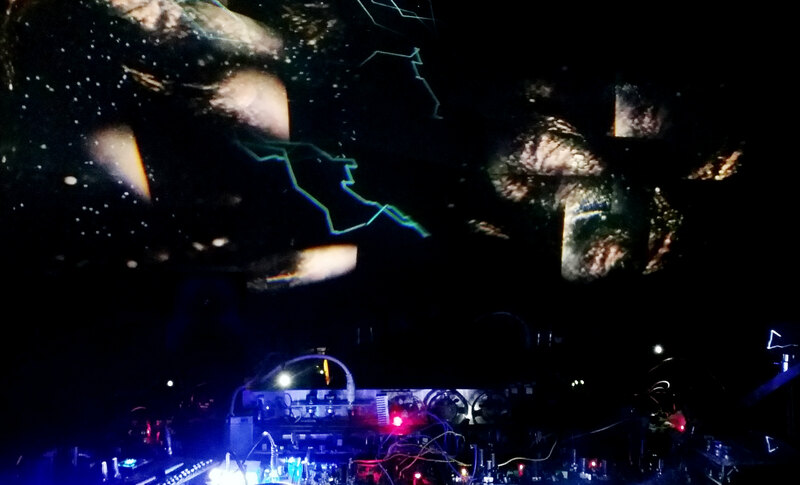 The performance merges audio and visuals into synchronous experience, using technologies in a way they were not meant to be used. It seeks to unmap the norms in audio visual performance: the square form of the video projector is broken with lenses, sound signals are used directly to draw the visuals, video signals are used to make the sounds. Chaotic noises and sounds created in the magnetic fields in servo and stepper motors are a by-product of creating the visuals and contrast the drony sounds of analog oscillators and video transferred into sound.